Gerken & Associates is a constant real estate sales provider to Branson and the surrounding communities since 1975. Originally an independent brokerage, in 1976, Duane and Kay Gerken, the firm's founding brokers, purchased a Century 21 franchise, which they and their sales team promoted for more than 25 years. From high interest rates, to deregulation and 'Black Monday', real estate had its trials and tribulations in the 1980's. However, Gerken & Associates prevailed as the leading Branson real estate agency dedicated to serving to the fullest all while giving back to the Tri-Lakes community. During this time, Kay and Duane Gerken, served individual terms as local Realtor board Presidents and the Gerken & Associates team began filling up thire office walls with Quality Service and Million Dollar Sales Club awards. One decade led into another as Gerken & Associates assisted with the substantial transactions of the residential and commercial boom that hit Branson during the roaring 90's. By 1992, the firm had grown in size and doubled its office space. 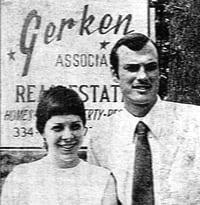 In 1998, Duane Gerken was elected President of the Missouri Association of Realtors, an active organization boasting over 23,000 members. Kay soon followed, and was elected President in 2004, placing them both in history as a Realtor husband and wife to achieve high honors from the Missouri State Association. 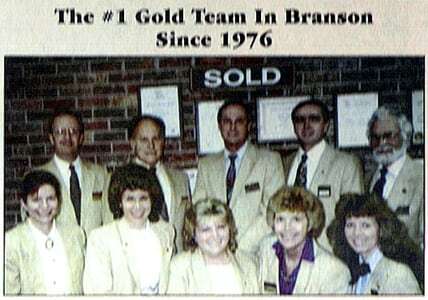 After 27 years of gaining a reputable name in the Branson area community, the firm left the Century 21 franchise, and in 2002 returned to being independent. 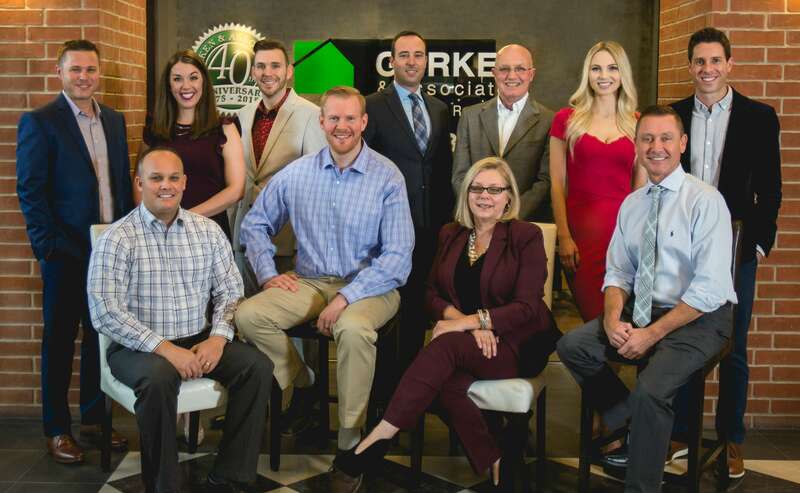 Included in the transition, were staff members and agents whom even today continue to be a part of the Gerken & Associates' award winning sales team. In 2005, Jeff and Charlie Gerken, brothers and best friends, joined their parents as Brokers and Partners to help lead the firm into the next generation. Having both completed college at Missouri State University and enjoying successful careers in marketing and management, the Gerken brothers brought their skills to the firm's business plans. In doing so, Gerken & Associates remains the oldest continuously-owned real estate office in Branson, Missouri. Located on West Highway 76, in the Branson Heights Shopping Center, Gerken & Associates expanded their office to four times its original size in 2007. However in 2012, a devastating tornado hit the Branson Tri-Lakes area and completely destroyed their office - which had been in the same location for 37 years. Within 8-hours of total destruction, Gerken & Associates pulled themselves out of the tornado rubble and moved into their current location, The Branson Financial Center, Suite 101A, located at 500 West Main Street, near downtown Branson Landing. Determined not to let the 2012 tornado challenges set them back, this very same year, Gerken & Associates recorded their biggest sales volume in the history of the firm. A year later, they purchased their office suite to call the Branson Financial Center their new home. In addition, Gerken &; Associates purchased the office space next door for future growth. The Gerken brothers' wives, both Realtors, joined the office in 2013 to manage day-to-day operations and help keep the boys in line. Two years later, in 2015, the firm celebrated 40 years in business and recorded their highest sales volume year in 2016 and again in 2017. Today, Gerken & Associates continues to play a major role in Tri-Lakes real estate sales. If you're in the market to buy or sell; choose the firm that's sold half of Branson. Twice!